Last Friday I posted about a love affair. A love affair that resulted in Al entering the picture. The next consequence of the affair was the entry of my little brother Ian. Thanks to Dad’s dislike of photos this is the only one of Ian as a Baby. Today I want to talk about my Dad. When I think of him I remember him as something like this. Still quite young and wearing the beard he has now had for most of his life. The piccie says so much about Dad. In the photo he is in the bush studying a sand goanna he has caught. Goannas are monitor lizards, in Oz we have 30 species ranging from about 20 cm (8 in) to 2.5 metres (8 ft 2 in). Sand goannas are a middling sized species that grow to about 1.4 metres (4ft 6 in). Like many people Rupert is an odd mix of contradictions. He was born into an upper crust family in India. Yet here too there were contradictions. 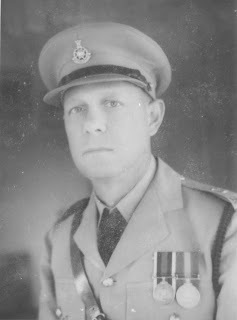 My Grandfather Arthur Russell was a senior police officer, a product of the British Raj (as I have said in previous posts the Russell family's involvement with India began in the 1700s). In one momentous way Arthur defied the conventions of the time because he fell in love with Beryl Essai an Indian girl who became my grandmother. In spite of marrying an Indian woman Arthur was well and truly wedded to the past: to a notion of a powerful Britain with India as a Jewel of Empire. Perhaps as a reaction to this Dad rebelled, as soon as he could he left India (luckily for me he picked Oz). Once here he went further, becoming a socialist and then a communist in his early 20s. His communism did not last long, ending with Khrushchev's denunciation of Stalin. But his rebellious nature continued as he shifted into the life of a hippy. The one thing that he did retain that was his father's was a passion for the bush. Although this too changed. The Indian jungle experiences of his youth were those of the Raj, a love of the wild that incorporated hunting, trophies and the like. When he came to Australia this aspect of his character was still intact. A story my mother tells illustrates this. At one point in Far North Queensland (FNQ) they were broke. Dad's solution was to hunt a crocodile for the valuable skin (today crocodiles are protected in Oz but in the 1960s they were still fair game.) 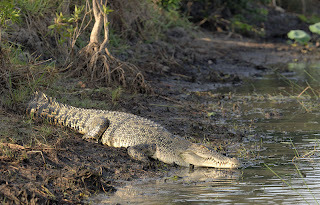 As my mother relates the story Dad stalked as close has he could to a large croc sunning itself on the bank of a river. He aimed his army surplus .303 rifle at the animal and fired. To his frustration the croc disappeared into the murky water. Then to Mum's alarm Dad dropped the gun and dived in after it. She has always said that was one of her worst moments. She was just pregnant with me, they were right out in the bush and Dad was following a huge crocodile into the water! She stood on the river bank for what seemed like an eternity and just watched the surface of the cloudy water. After what seemed an age Dad's head broke the surface and he came up dragging the body of the croc by its back leg. Between them they managed to get the animal out of the water and then Mum exploded: “What were you thinking?” she demanded. Dad's response, “I was pretty sure it was dead, I thought it was worth the risk”. Needless to say Mum put down her foot and that was the last time they hunted crocodile. Around this period Rupert's attitude to wildlife shifted. He stopped seeing animals as something to be exploited. He always believed in conservation, initially so there would always be wild spaces for people to use and animals to hunt, but now he came to see conservation differently. He came to believe that wildlife and wild places had their own value and should be preserved for their own sake. Perhaps still rebelling, he became a leading conservation activist in the 1970s. Maybe he also drew on his Indian heritage in this as he coordinated a number of Gandhi inspired non-violent protests against developments in places like the Daintree Rainforest (later a World Heritage listed site). As well as protesting Rupert came up with practical solutions to conservation problems. Perhaps the best example was the concept of linking isolated patches of forest by rope bridges to allow arboreal creatures to cross. This piccie is of Rupert’s original bridge in FNQ. This original bridge has a tube like hollow box form because Rupert assumed smaller animals would go through the inside to gain protection from hawks and owls (many Oz animals are nocturnal). 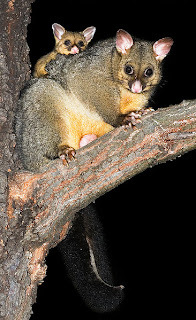 The concept has been proven through research, although it has been found most animals used the top so recent bridges have been simplified to a single deck. Scattered all up and down the country bridges like this are helping possums and other creatures cross freeways and other man made obstacles. A quick note about the piccies. Unusually none of these are mine, the older piccies are from family sources, while the wildlife ones are from Wikipedia. Your dad is fascinating. Like Jacques Cousteau. I'm sorry you don't have many pictures of him but the one you posted with the goanna is perfect. I think that photo captures his essence and what you're trying to convey perfectly. Oh your dad!! Good grief!! What a man!! I think his memoirs would make for fascinating reading!! I'm so glad you have your family history intact! I love the pics of your grandad and grandmum! You are from a long line of passionate romantics and adventurers!!! How could you not be an artist?!?!?! 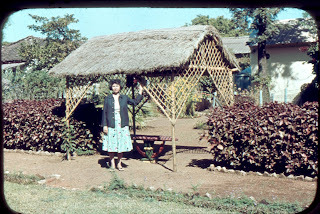 Thanks for sharing your dad's amazing story here - he pioneered that rope bridge thingy - that;s just great!!! Wow, I could 'listen' to these stories all day. Has anyone written a history of your family? It would be fascinating! Such an interesting story about your Dad and Grandfather. I can see the resemblance, and I think that you favor both of them. And the Crocodile story had me on the edge of my seat! Al, you have a fascinating background! I share Wendy's view that your family tales would make the basis of a wonderful novel. Thank you for another treat. This is amazing! you have a book right here. Have you thought about writing a memoir? You could also include wonderful photos like this. If a memoir is not right up your alley then you could turn it into fiction. It'd be really neat! I guess committed conservationists can be fascinating people. Of course unlike Cousteau, Dad is only moderately well known in his own little part of the world. The goanna portrait does indeed capture him perfectly. He is an amazing character, and yes I suspect his memoirs would make a good read. You’re right there none of my ancestors seem to have done anything by halves! The rope bridge idea has spread across Oz and I believe it is in use for red squirrels in the Scotland now. Pleased you like my tale. There are plenty more stories where that came from and all true. No one has written a history as such. There is a partial genealogy with a few anecdotes for some of Dad’s (and my) more distant ancestors. Thank you. You would suggest novelising these stories. I have often imagined writing stories about my family. Dad’s side of the family is fascinating, who they were and are and as you say the times. In truth there is so much colour in both the 19th and 20th Centuries. There is so much material that I’d either have to cull or write some saga-like series. The Romancer is on Amazon now will it be long before it hits the Book Depository? I think most of us have some amazing ancestors. I’m just lucky that some people like Mum and my Grandfather were amazing story tellers. He is intriguing – you are welcome! your family history is fascinting! i could read about this all day!